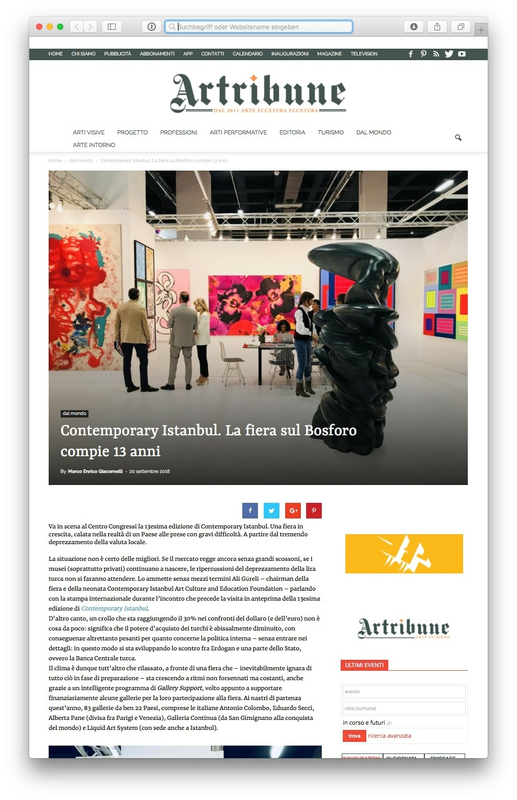 Figurative painting abounds in this edition of Contemporary Istanbul. 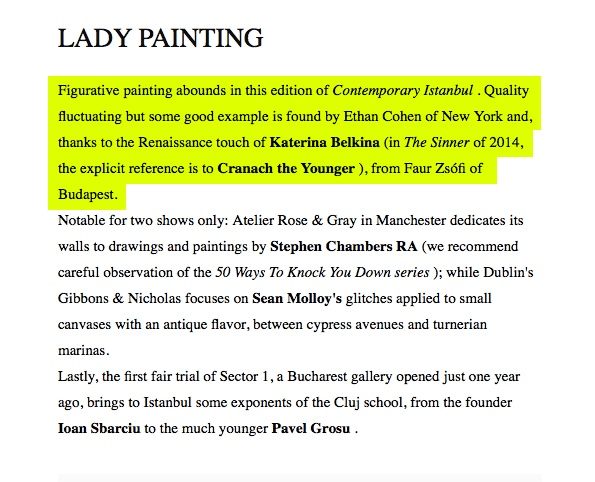 Quality fluctuating but some good example is found by Ethan Cohen of New York and, thanks to the Renaissance touch of Katerina Belkina (in The Sinner of 2014, the explicit reference is to Cranach the Younger), from Faur Zsófi of Budapest. Notable for two shows only: Atelier Rose & Gray in Manchester dedicates its walls to drawings and paintings by Stephen Chambers RA (we recommend careful observation of the 50 Ways To Knock You Down series); while Dublin's Gibbons & Nicholas focuses on Sean Molloy's glitches applied to small canvases with an antique flavor, between cypress avenues and turnerian marinas. 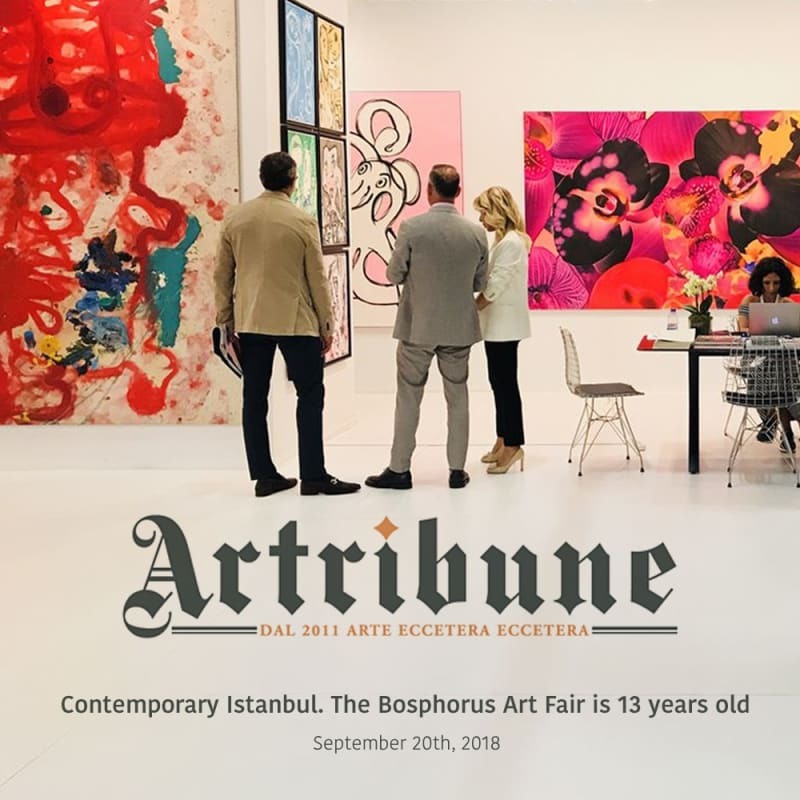 Lastly, the first fair trial of Sector 1, a Bucharest gallery opened just one year ago, brings to Istanbul some exponents of the Cluj school, from the founder Ioan Sbarciu to the much younger Pavel Grosu.